Perennial third-party presidential candidate Ralph Nader has thrown his hat into the ring again. Running on the Green Party ticket, he will try to establish or re-ignite campaign organizations in all 50 states by the November elections. I think there is doubt whether he can actually make the ballot in all states. It is also doubtful that he will be admitted to any presidential debates. But he gives the punditocracy something else to talk about so he might find a national voice. In 2004 Nader won about 3% of the popular vote, more than the margin by which Gore lost to Bush. Without his candidacy, we would probably not be in Iraq today. Many Democrats understandably resent Nader’s participation and accuse him of indulging a monumental ego at the expense of the country’s well-being. Nader disputes that, and after watching the biographical documentary on him, “An Unreasonable Man,” I can see why. He says, first, it is his absolute right to run for president. No one can disparage his candidacy without being anti-democratic themselves. True enough. Then he asks, why was the vote so close anyway in 2004? If the Democrats are so superior to the Republicans, why didn’t they win by a landslide? The answer he implies, is that there is not much difference between the two parties because they are both ideologically bankrupt. Of course it is his right to run for president, but if he was not aware of his spoiler role in 2004, it demonstrates incredible political naivety. If he was aware of being a spoiler but didn’t care, then his selfishness is unbounded. It is impossible that a person as thoughtful and well-educated as Nader could not discriminate between the ideologies of Democrats and Republicans, and unbelievable, given his biography, that he would have no preference if he did. So his rebuttals of the standard arguments against him are unconvincing. The idea that he was innocently exercising his democratic freedom in 2004, with no responsibility for the outcome, is disingenuous, if not overtly dishonest. If you take Nader's rebuttal at face value, you are forced to conclude he is either incredibly stupid or blinded by his own reflection in the mirror. And he is not stupid. 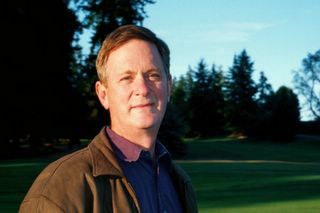 In 2004, where he inspired some young people to get involved in politics to support Green issues and to express disgust at political sleaze, the zeitgeist has changed. Young people are already engaged this time, and the stench of sleaze emanates almost exclusively from one side of the aisle. So Nader’s opportunity to be a spoiler is not manifest. Still, Democrats might welcome his participation for two reasons. First, his candidacy might provoke Michael Bloomberg to enter the race as an indie, as Huckabee’s survival proves that McCain is not a unanimous choice. And if Bloomberg gets in, that surely would split the Republicans and guarantee a Democratic victory. I think Bloomberg is too smart to do it, but if McCain stumbles, Huckabee will not be able to hold the party together and Bloomberg might jump. So Nader might act as a stimulus to a Republican party implosion. 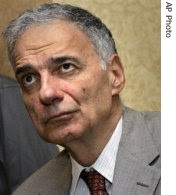 More likely, Nader’s presence might push the Democratic candidate, whether Obama or Clinton, to actually say something substantive, about taxation, energy policy, farm subsidies, trade tariffs, social security, military readiness, insurance laws, tort reform, deficit spending, nuclear proliferation, carbon containment, and so many other issues that need to be discussed. If he can be an intellectual pusher, provoking the Democratic candidate to address some substantive issues, we’d all be better off. Nader would not be much of a spoiler, and Democrats would win on a stronger platform. I know perfectly well that candidates don’t talk about the issues because the issues put the voters to sleep. Slogans and sentiment, the big “Double-S” is what wins elections. It’s too bad, but that’s the price of maintaining the mythos of government by the people. I don’t think Nader understands that. He seems to believe in a rational world, failing to realize that his own reputation is founded as much as anyone’s on the big Double-S. He is not likely to get over himself so maybe Democrats can show some courage by engaging him rather than just dismissing him as a nut case. Do Conservatives Have a Conscience?